I’ve always been a fan of “lotions and potions” and things that smell great. When I was small I’d constantly be mixing and playing with my mum’s products (which I’m not sure she was too pleased about) and rose petals and other ‘ingriedents' from the garden. This love affair has continued throughout my life, and I’ve never really grown out of layering and experimenting with potions. Though I’ve always preferred more natural products, after my cancer diagnosis in 2014, I became more careful with what I use. The amount of chemicals going into my body made me adverse to adding anything more. I had a lot of time to research safe, non-toxic ingredients but like I said lotions and potions are my love, so they had to actually work. It made sense to channel this knowledge and passion into a small and highly curated line for Loop. It’s small and curated because I’m super fussy and I want to love everything we’ve created. If I won’t use it, or I wouldn’t be proud to give it to a friend, you won't find it a Loop.. The products are organic where possible. They are made with natural, plant based, vegan ingredients and are tested on us not on animals. Some of our products are made with Nut Oils, so please check the labels very carefully. They are also made in an environment that isn’t nut free. Some of our products contain essential oils, if you have any health concerns regarding these - such as when pregnant, or with certain medical conditions - please consult your doctor for further advice. If you have sensitive skin it’s always advisable to perform a test patch before using a product for the first time. We do not recommend products containing essential oils on young children. Our products are handmade, so there will be slight variations in colour, texture and appearance between batches, that’s the beauty of handmade. So in time the selection might grow, but this will be a slow process. 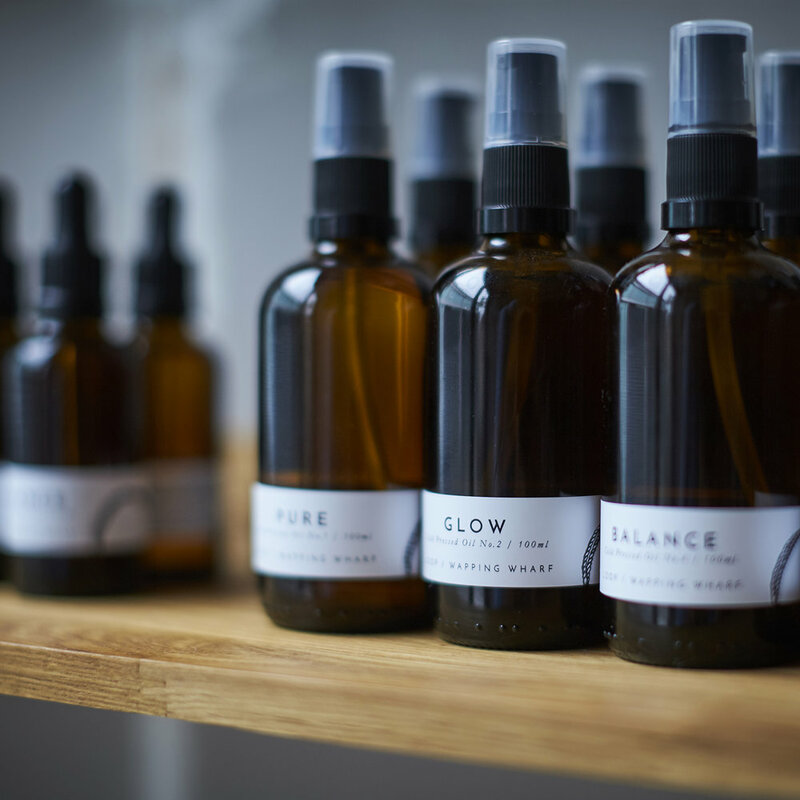 For now, we have facial and body oils based on the blends we use in the Loop Studio, handmade soaps, ten candle scents in various sizes, and some lip balms.